All the printers have web-panel for remote access and configurations. Web-panel by default shows basic settings and status of the printer consumables. But for access to remote printer settings the device requires administrator authorization. Not to allow each user accidently change the printer parameters manufacturers set factory default passwords. OKI printers and MFPs also have default login and passwords but they are not specified in the user manual. This data for old and new generation of OKI printers are given in the article. 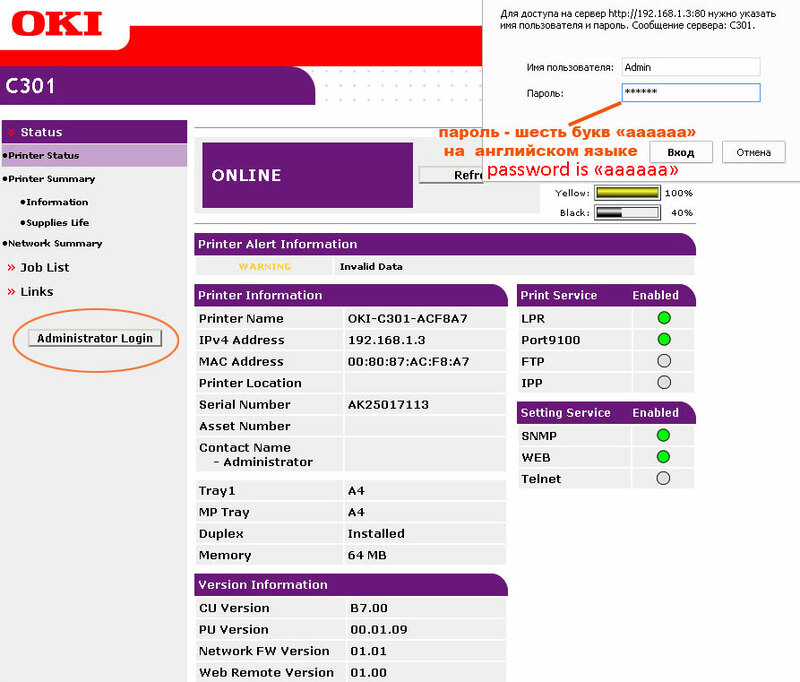 Login and password for old generation of printers by the example of OKI C5600. For full protection from playful hands the company OKI came up with an interesting password. Six last symbols of default printer MAC address are used as a secret combination. Thus each printer has its unique password. Standard word for all network devices is used as a login – “root“. Through the web-panel of printers OKI you can get access to bigger number of settings than through the printer menu. I won’t describe all the configurations here, as the article is not about this. New generation of OKI printers and MFPs have the same password and login for all devices. Word “Admin“ is used as a login, and “aaaaaa” as a password, in English keyboard layout. 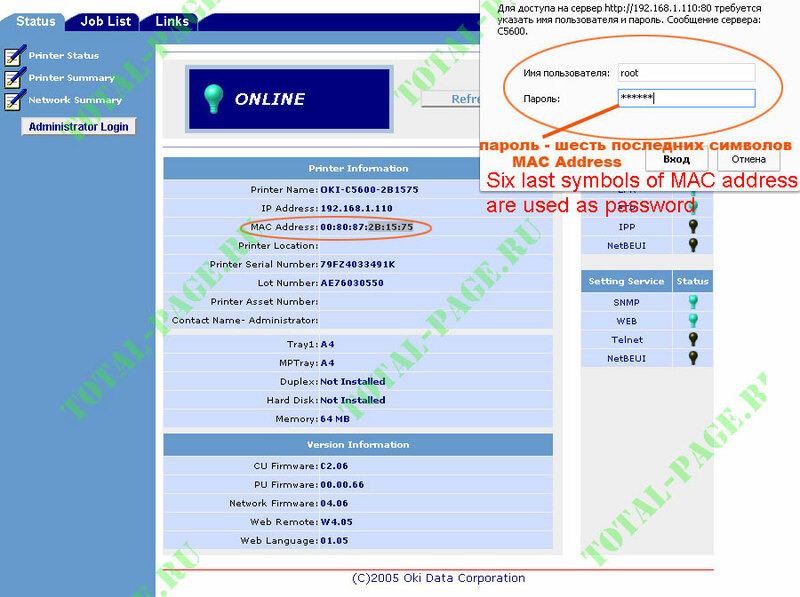 As you can see in the images, not only login and password undergone changes in the web-panel, but also the design.